Seminar organized by Center for Corporate Governance and the Danish Shareholders Association as part of the research project Nordic Finance and The Good Society. Title: The Future of The Financial Sector – How to promote an equity culture in Denmark? Marc Steffen Rapp is an Associate Professor in International Banking and Finance at the Center for Corporate Governance at Copenhagen Business School (Denmark). 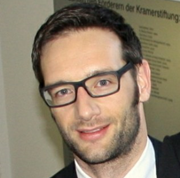 He is also a Professor at Philipps-Universität Marburg (Germany) where he is affiliated with the Accounting and Finance Group and the Marburg Centre for Institutional Economics (MACIE) and serves as an Academic Co-Director of the Center for Corporate Governance at Leipzig Graduate School of Management (HHL). His research interests comprise all aspects of Corporate Finance related to institutions, regulation, and corporate governance. Jella Benner-Heinacher is Chief Managing Director (Deputy) at Deutsche Schutzvereinigung für Wertpapierbesitz e.V. (DSW). DSW is the leading shareholder association in Germany with more than 25.000 members. She is an attorney having studied in France, Switzerland, and USA (Master of Law). 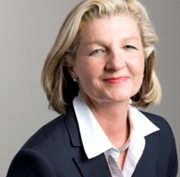 Jella Benner-Heinacher is also member of the German Stock Exchange Expert Committee and of the Stock Exchange Board in Düsseldorf. She sits on the Germany consumer panel at the German BaFin. Bjørn Sibbern is the President of Nasdaq Copenhagen Exchange and Global Head of Nasdaq Commodities, Senior Vice President. Bjørn Sibbern has an MBA, a MSc in Business Administration and Commercial Law and a Graduate Diploma in Business Administration (Finance) – all from Copenhagen Business School. From 2006 to 2008, Bjørn Sibbern was Managing Director of E*TRADE Bank A/S. In parallel with his employment at OMX, Bjørn Sibbern is in the board of directors of the Committee of Corporate Governance. 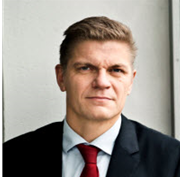 Lars Milberg is a lawyer, board member at Aktiespararna and Vice President of Better Finance in Brussels. He has been working with Corporate Governance issues for many years and is a special adviser in different government committees. Lars Milberg is former President of the Brussels based organization Euroshareholders, an association of 27 national shareholders associations. 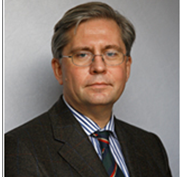 Parallel to his employment at Aktiespararna, since 1993, he has his own law firm working with arbitration in the field of securities. 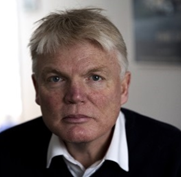 Lars Milberg is also a member of the Swedish Bar Association and Chairman of Ystad Sailing Association. Peter Loft is adjunct Professor at Copenhagen Business School and former Permanent Secretary at the Danish Ministry of Taxation. He has a Master of Law from Copenhagen University. In more than 30 years, Peter Loft worked at the Danish Ministry of Taxation – hereby 18 years as Head of the Management Department. As a personal secretary of former Prime Minister, Anders Fogh Rasmussen, and with 20 years of different managerial positions in the Danish Ministry of Taxation, Peter Loft has been strongly involved in several important government initiatives.